The FlowDirector series product represents a new tool to help the IT administrator to operate, monitor and debug their networks effectively. FlowDirector allows the IT administrator to orchestrate network traffic through map, tap, tag, replicate, load balance and filter their traffic across any 1G/10G SFP ingress and egress port. It enables a seamless integration between the network and the network/security analysis and monitoring tools. With the comprehensive easy-to-use web based GUI the IT administrator can connect their high-speed network to different network monitoring and forensic devices. FlowDirector gives flexibilities to deploy extra monitoring devices on the fly without the needs for SPAN ports. Many different traffic modes like packet aggregation, regeneration, load-balancing and media and data rate conversion eventually with filtering is supported. For all functioning modes, FlowDirector provides throughput at line rate even for the smallest frame size. This enables an efficient usage of network analysis and monitoring devices. With the ingress and/or egress packet filtering functionality the IT administrator can define filter definitions on OSI layer 2-4 (e.g. MAC address, VLAN, IP address and/or UDP/TCP port). 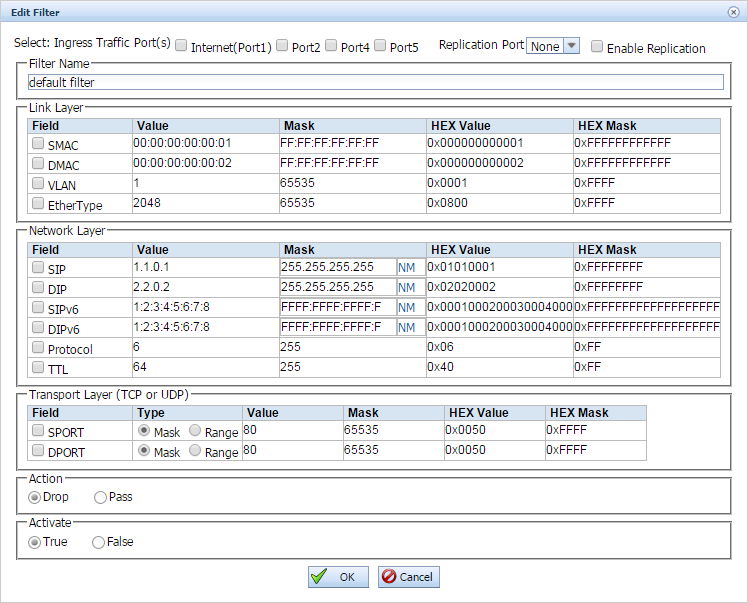 This allows selective packet forwarding to varied tools like Intrusion Detection Systems or network analysis equipment. This feature enables the IT administrator to slice the packets to increase the efficient use of tools by removing unwanted information to increase recording times or to comply with regulatory compliance. A typical use case of the FlowDirector is 10G network analysis with existing 1G tools like Wireshark. 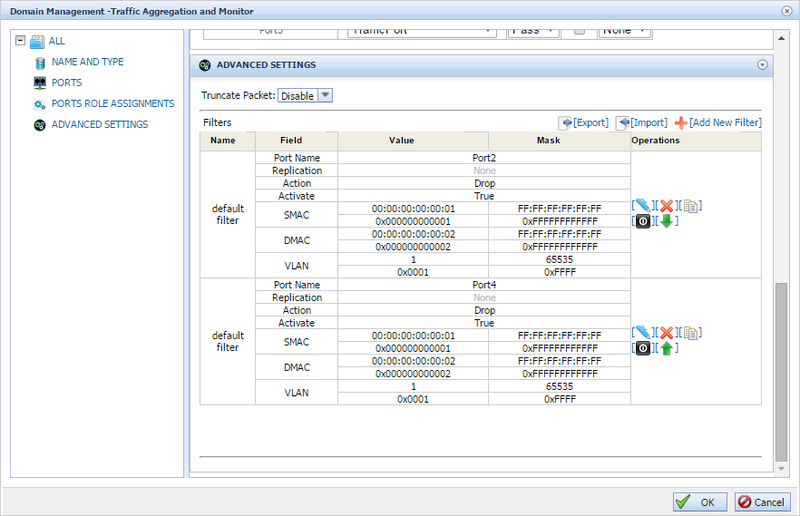 With the embedded packet filter feature the forwarded packets can be narrowed down intelligently. In case of 1G network analysis tools with multiple ingress ports the load can be shared smart by means of different load balancing criteria’s over multiple capture ports. 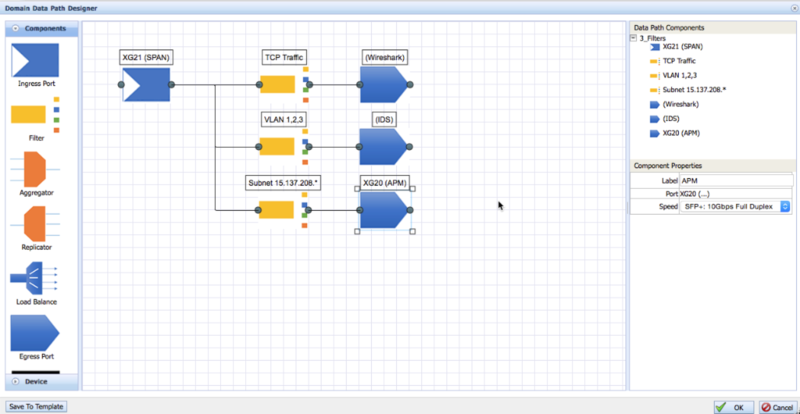 In case the numbers of ports of one FlowDirector switch are not sufficient, multiple switches can be cascaded. 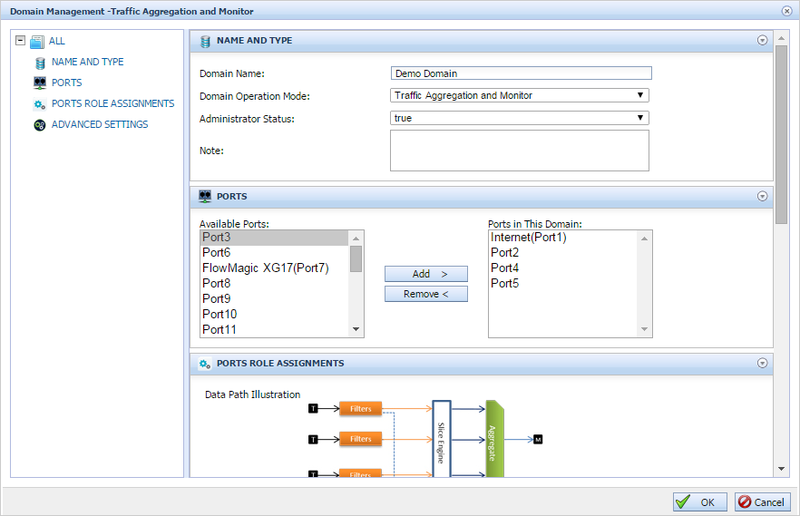 With this integrated cluster functionality the number of ports can be adapted flexible to your requirements. Similar as with FlowMagic the FlowDirector is powered by InfiniOS with remote management through the intuitive web based GUI and/or command line interface. 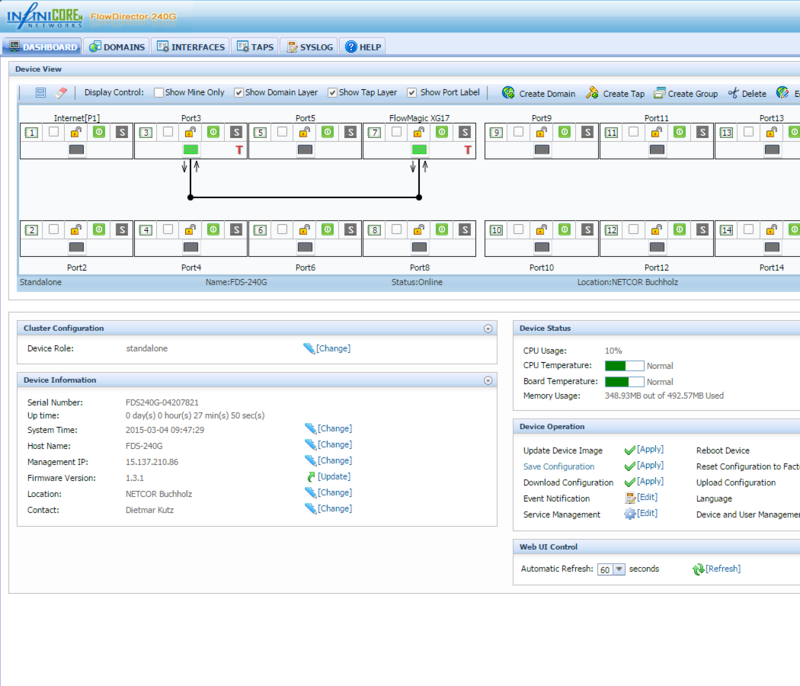 This enables integration in a higher-ranking network management solution.